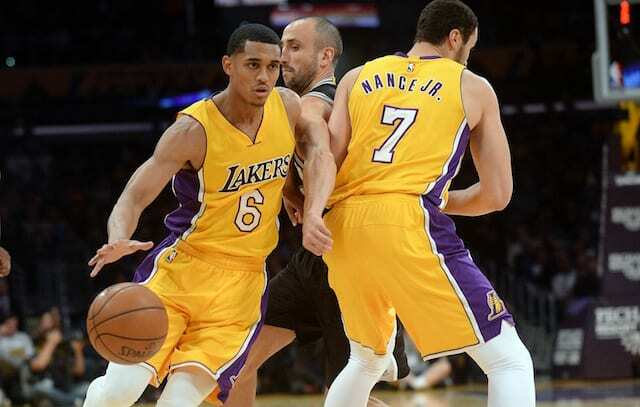 Most reports heading into the 2018 NBA Trade Deadline pointed towards the day coming and going without much happening for the Los Angeles Lakers, despite tons of speculation involving Jordan Clarkson and Larry Nance Jr., among others, throughout the season. Still, the most plugged-in local reporters were saying the Lakers would hold back and stand pat at the deadline, choosing to focus their efforts more on the rest of the season and 2019 free agency rather than the 2018 class that includes LeBron James and Paul George. This deal makes sense for both teams on some level. For the Cavaliers, they get a little bit of scoring punch and shot creation off of the bench in Clarkson, as well as a promising and athletic young defender in Nance who will look a lot better playing alongside a creator like James than he did in Los Angeles. For the Lakers, Frye will likely not factor into the team’s plans moving forward, and Thomas has a minimal caphold this summer that won’t affect the team’s cap space too much should he begin to recover from injury and look like a player worth re-signing. If he doesn’t, then his expiring deal allows the Lakers to cut bait quickly from the former All-Star. 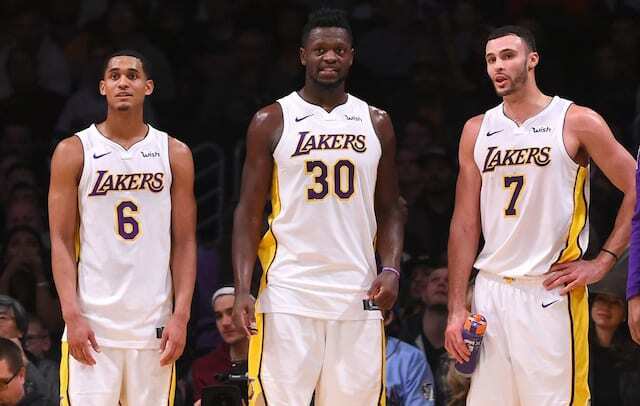 The real plus here for Los Angeles is picking up a first-round pick for two players that didn’t seem to factor into the team’s future plans anyway, with Nance looking increasingly expendable now that it appears more likely they’ll keep Julius Randle in free agency this summer.